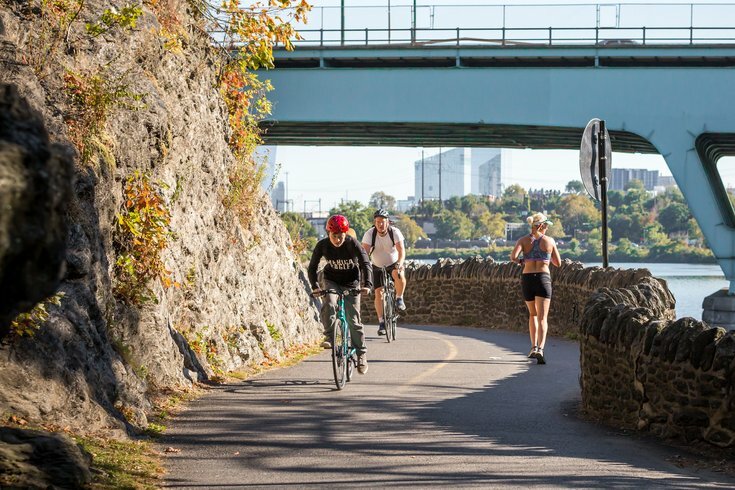 Running and cycling along the Schuylkill River Trail. It’s no surprise that working out in the same gym, day in and day out, can get a little boring. Not to mention, memberships in the city can go from pricey to pricier. Fortunately, you don’t need specialized gym equipment to get in the full-body workout that you need. Philadelphia offers plenty of awesome outdoor spots to exercise that’ll add the variety to your workout, which helps you to stay on track with your routine! Get your fingerless gloves and sweats ready: it’s time to emulate everyone’s favorite local boxer. 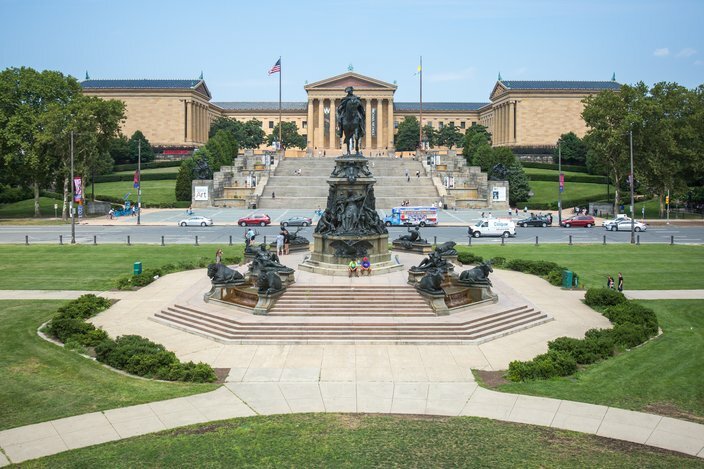 The Art Museum steps, located in scenic Fairmount, offer an incredible, intense workout that not only helps you burn calories, but truly strengthens your heart. When you run up stairs quickly, your heart’s ability to move blood and oxygen throughout your body is greatly improved. Eventually, your heart expands and allows you to accomplish daily tasks and exercises with more energy, leading to weight loss, decreased risk of diabetes and heart disease, and much more. What makes a workout better than knowing you’ll have the chance to sit back and relax once it’s all over? 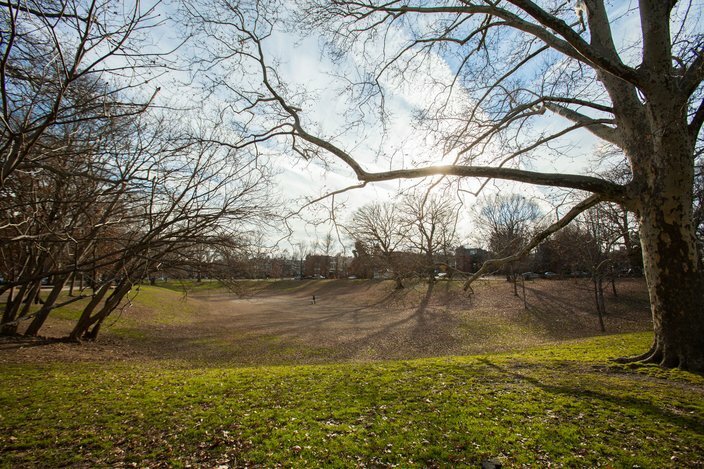 Clark Park in residential West Philly offers the chance to tackle body-toning exercises in a relaxed and calm setting — where you might even be lucky enough to meet a friendly dog or two. With benches and chairs scattered throughout this green oasis, you’ll be able to work the muscles in your arms with tricep dips. This unique exercise involves placing your hands behind you with a slight bend, lowering yourself down, and pushing back up. Increasing your upper body strength not only gives you a toned look, but helps with your posture, decreases risk of injury, and boosts your metabolism! 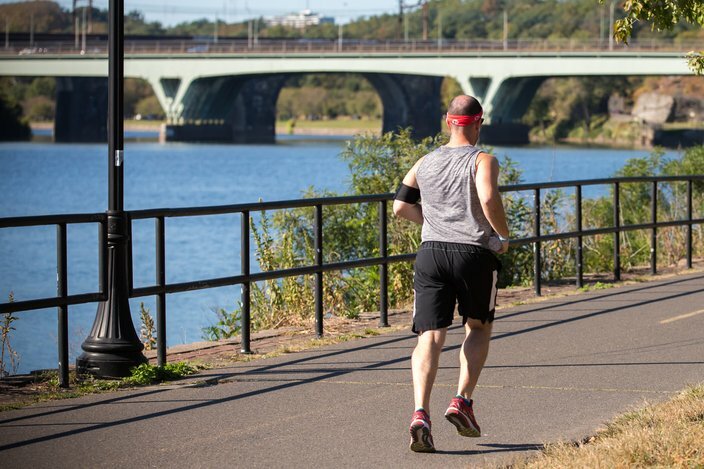 Nestled along the banks of the Schuylkill River, the nearly 9-mile Kelly Drive Loop starts behind the gorgeous Art Museum and winds past the ever-charming Boathouse Row, allowing you to enjoy the scenic beauty of Philly while completing a distance run. Running for long distances may help strengthen your knees and other bones and joints, which can assist in preventing age-related bone loss. 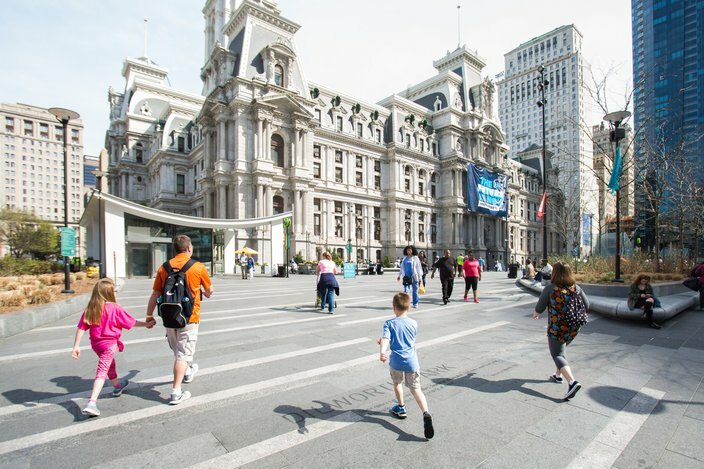 The breathtaking fountain, outdoor lawn and seating, and close proximity to the grand City Hall make Dilworth Park a prime place for both physical and mental exercise. Every year, the park offers “ Spring Training,” which includes an awesome yoga program. Through relaxation techniques, yoga aids weight reduction in several ways, most notably by helping you maintain a balanced metabolism, increase muscle strength and flexibility, and improve overall athletic performance. Just as important, yoga provides mental health benefits by encouraging you to relieve stress, remain calm, and find your center of concentration. 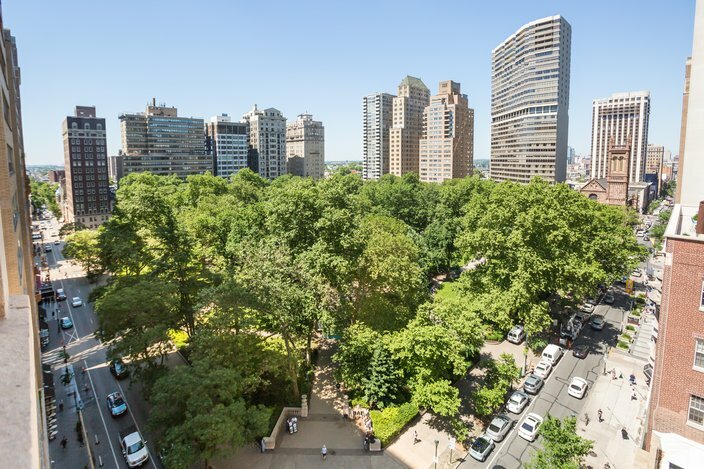 Located right in Center City, Rittenhouse Square park is beloved for its greenery and large trees that lend the park a calm, suburban feel. With ample room for exercising, you can squeeze in your workout in a spacious and scenic setting. Grab a friend or go solo — you can work your core without any equipment! Push-ups and crunches are two great exercises that you can do to tighten up your core and build muscle mass. Both will help you control your weight and reduce risk of injuries in the future. Working out three times a week for 30 minutes may seem like a challenge, but it certainly doesn’t have to be. When you continuously choose exercises that you actually enjoy, you’ll have more motivation to stick to your regimen and fitness goals. So, soak up the beauty of Philly and get ready to feel great!